Atlanta Photographer | Emory Law School | LeahAndMark & Co.
On Tuesday, July 15, 2014, Georgia Attorney General Sam Olens issued a statement responding to questions about whether his office withheld a 2012 memo written by the Holly LaBerge, the current head of the state ethics commission. In the document, which was entitled “Memorandum of Record,” LaBerge gave her version of conversations with Governor Nathan Deal’s chief counsel Ryan Teague, and his chief of staff, Chris Riley. LaBerge claimed Teague had threatened her and her agency, if they did not resolve an ethics complaint involving the Governor’s 2010 campaign. The LaBerge memo did not come up in the 2014 wrongful termination lawsuits brought by LaBerge’s predecessor, Stacey Kalberman, and two of her staffers. Kalberman won a jury verdict; the state settled the other two lawsuits. But their attorneys now say the LaBerge memo should have been made available to them under the rules of evidence. They say they suspect state attorneys, possibly including Attorney General Olens, deliberately withheld the memo, because it would have helped their clients’ cases against the state. On July 15, 2014, Olens issued a statement, defending his office’s decisions about the memo. Kalberman’s attorney, Kimberly Worth, responded with more criticism of Olens. You can read their detailed statements here. All of this raises the question: What are the basic rules of evidence for attorneys in any legal case? WABE’s Denis O’Hayer got a primer from Emory Law Adjunct Professor Matthew McCoyd. 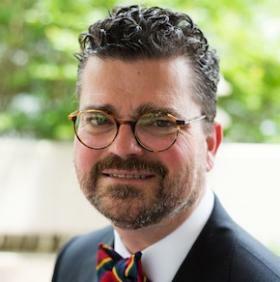 He is a former Senior Assistant District Attorney in DeKalb County, and now serves as the Associate Director of Emory Law’s Center for Advocacy and Dispute Resolution. Among other things, he teaches Advanced Evidence at Emory Law.